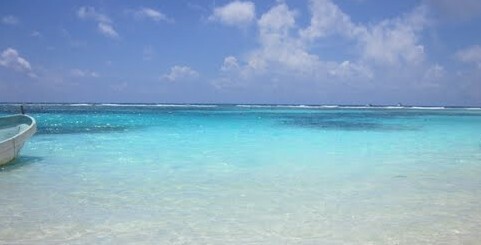 ← Ground Transportation Packages To Mahahual-Leave The Driving To US! With the addition of another ADO, tourist class bus to Mahahual each day, I’ve gotten a lot of questions about how to coordinate that service with their flights into and out of Cancun. In the past, the only bus ADO had to Mahahual was so early, most had to plan on spending a night in Cancun or Playa Del Carmen in order to catch it the day after they arrived. With the addition of the second afternoon bus, many can now fly in and still easily bus to Mahahual that same day. To get to Mahahual the same day you arrive in Cancun, you must get a flight that arrives before 2:30 PM. This is important because that bus does not come from the airport and requires that you first take an airport shuttle to either Playa Del Carmen or Cancun, and catch the Mahahual bus from there. From Cancun, that Mahahual bus leaves at 3:30 and from Playa Del Carmen, it leaves at 4:45. I always suggest that you catch the bus in Playa Del Carmen, because the terminal there is on 5th Ave, a much more fun place to wait on a bus than the busy downtown depot in Cancun. In PDC, you can walk to any of many close by restaurants, bars and such to wait on the bus. If you have time, the shopping is the best in Quintana Roo! Here is the math on that trip so you can better see how to schedule your flights. If you arrive at 2:30, the airport shuttle to PDC ($140 MX or $10 US) runs every hour but the schedule is a little different each day. ADO does not have the shuttle on its web site anymore, but it runs about every hour. The drive from the airport to PDC, takes about 50 minutes. If you arrive at 2:30 and it takes 15 minutes to clear customs and immigration, you’ll leave the terminal at 2:45. If the shuttle had just left and you had to wait an hour, that means you would leave for PDC at 3:45 and arrive at 4:35, 10 minutes before the bus to Mahahual will leave at 4:45. ($310 MX or $25 US) I know, that is tight but it shows how the timing works and remember, most of the time, you will have less than an hour wait in Cancun for the shuttle, so even if you arrive at 2:30, you’ll still make the afternoon 4:45 shuttle to Mahahual. If you arrive before 2:30, consider it a bonus and get over to PDC and have some fun before you take the last 3 1/2 hours to Mahahual. How do you actually catch that shuttle? Really, very easy actually. As you leave the customs and immigration checks, you’ll walk through the terminal exit where all the rent car and tour company booths are located. The last booth as you are leaving is the ADO ticket center. You can buy your ticket to PDC, and also your Mahahual ticket at this location, and even use your credit card as well. (FYI, there is a bank ATM also there and you can get pesos there too if you need them) If there is nobody at the booth, they will have someone outside by the bus and you can buy your ticket there but need cash and it is best if you pay in pesos. The ticket people outside will give you a really bad exchange rate, usually 10 to 1, and the real rate is usually much higher. An ATM will disperse money at the high bank rate, so get your cash from the ATM before you leave the terminal. As for scheduling return flights, if you want to schedule a flight out the same day you leave Mahahual on the bus, you’ll need to schedule a flight out at about that same 2:30 PM and be ready to take a 7:00 AM bus out. That bus arrives in PDC a little before 11:00 AM and again, you have to wait for the next shuttle to the airport from there. If you have to wait a full hour, that has you leaving PDC at 12:00 noon and arriving at the airport at about 12:50. Be aware, the shuttle only drops at terminal 2 inside the airport, so you will need to transport or walk the 10 minutes from terminal 2 to terminal 3 if your flight is to the US or Canada. Almost all of those flights are at terminal 3. That has you there by 1:00 PM and should be fine for most 2:30 flights. To buy your tickets for that return, you can buy from Fernando’s store, right across from the bus departure area, and they will take cards for that. If you want to buy those though, you’ll need to do that at least the day prior, because they will not be open at 7:00 AM when the bus leaves. Fernando doesn’t get up that early and I don’t blame him. You can pay the driver, but will need cash to do that. There is also still the early bus from Cancun/PDC that arrives in Mahahual at about 11:30 each morning and leaves again each afternoon at 5:00 PM. Those buses are for those who arrive late or for anyone wanting to spend a night, or two, along the way in PDC or Tulum. That morning bus leaves PDC at 8:00 AM and Tulum at 9:00 so it is great for anyone wanting to do a stop-over night along the way. For more info on how to do that trip, check this old blog of mine on The Fun Bus Trip. If you arrive too late for the afternoon shuttle and must still get to Mahahual, you can. It just requires you use the second class bus service, Mayab, to Lemones, the last town on the highway before Mahahual. From there, you taxi the last half hour. Check this blog on Using The Second Class Buses for more on how to do that. So now you know. Now get on the bus, and come down and see us. Hurry too, we’re keepin’ your drinks cold! Hello! Helpful info- thank you! We are actually coming from Chetumal on Saturday and we are having a difficult time seeing if there is an ADO bus from chetumal to Mahahual. It doesn’t appear to exist on the ADO website. We cannot find a bus on other carriers either. Since we are coming with beach cruisers – a combi won’t work. Do you have any ideas/ bus info? There is a small sprinter bus run by Caribe, that comes from I think both the ADO stations 3 times a day. 80 pesos each. Not sure the times but I think it leaves around 7:00AM, just before noon and one at mid afternoon. Check at the bus station. They have an older bus that does a Xcalak to Chetumal run but that is different. Same line, Caribe, but not same route. That bus leaves the old ADO terminal at 4:00 PM. Let me know if that makes sense. Arriving Cancun February 2017 at 3:30 pm. Plan to go to Xcalak. Have been researching ADO. Appears we will have to overnight before heading south. Wondering if stayed at Hotel Marriott at airport, we would still need to get downtown Cancun to bus depot and buy our tickets to PDC and Mahahual? Hi Laura, Thanks for reading the blog. Depends on how much you want to spend on how you can do this. Also depends on how long it takes to clear customs. Sometimes 5 minutes, sometimes 45. Option 1 The ADO from Playa stops in Tulum and leaves around 5:30 PM. If you clear customs fast, walk out to the taxi shuttle area and see if any going to Tulum can get you to the centro bus station before 5:30 PM. A taxi, direct will cost about $75-$100 US I think. I think the rate to drop from Tulum direct to the airport is about $800 Mx. Picking up people inside the airport adds about $400 Mx to a taxi rate because of airport fees, so direct taxi should be about $1200 Mx, or there about, which is about $75 US. That drive will take about an hour. The bus from Tulum is $250 Mx and arrives in Mahahual around 8:45. Option 2 ADO shuttle to PDC $165 Mx, and take the next Mayab Bus to Limones. About $170 Mx. Read about using second class buses on my blog, but it is not bad. A/C and baggage storage, but it makes unscheduled pick-ups. Adds about 45 minutes to the trip, so it takes 3-3 1/2 hours to Lemones. From there, you can taxi direct to Xcalak. Should cost about $850 MX plus whatever they charge to take you to your final stop. Most charge extra to go very far up the Xcalak road as it is very bumpy and slow. You might get to Xcalak by 9-10:00 PM. Option 3 Spend the night but I would stay in PDC. 5th ave is great and a wonderful place to spend the nite and the bus to Mahahual leaves at 8:00 AM. Do a google images of “5th Avenue Playa Del Carmen” and you’ll see. I have detailed blog on that trip as well called the Fun Bus Trip. I would not do the Marriot. You miss out because they are on the highway. If you don’t have a place in Xcalak, check my friends David and Ilana’s place Costa de Cocos. Great little bungalow hotel with a restaurant, diving and fishing services as well as a restaurant and brewery/distillery. Awesome place. Keep me posted if you need any other info and hope to see you stop in the Tropicante while you are in Mahahual.